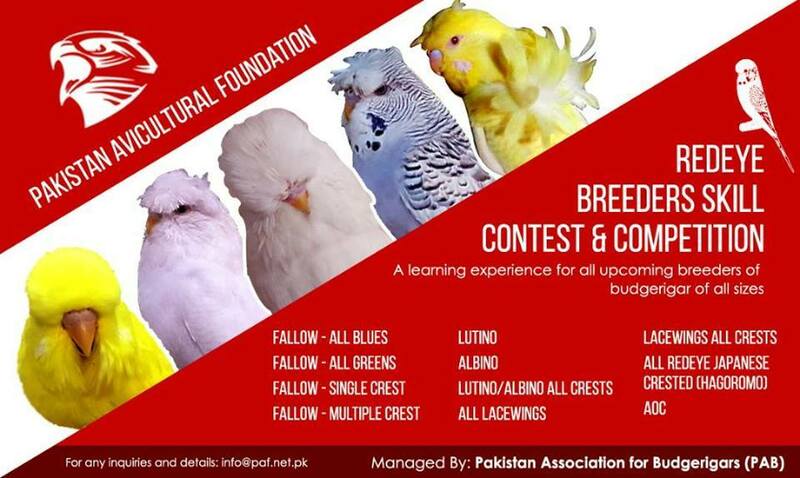 First All Redeye Budgerigar Breeders Skill Contest and Competition managed by #Pakistan Association for Budgerigars (PAB) https://www.facebook.com/groups/PAB.PAF/ held on 21st May 2017 at Karachi. The core mission was to ranking up skills in novice breeders specially under champion/senior breeder leadership. Please visit our FB Page here to see photo album.